Patti Peplinski, People’s Choice Winner, 2013 Volcano Art Prize (VAP). 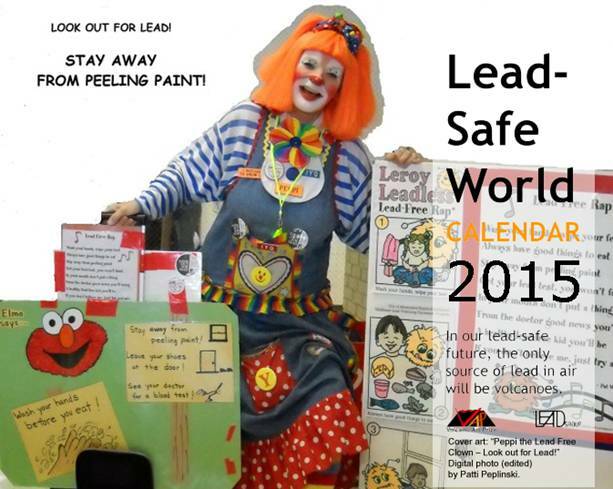 Patti’s winning entry – as part of the Prize package - has been Photoshopped by Jongmin Choi to create the 2015 Lead-Safe World Calendar front cover. Invest in a lead safe world by pre-purchasing your calendars today. Title: Peppi the Lead Free Clown – Look Out for Lead! Artist: Patti Peplinski. Patti Peplinski, People’s Choice Winner, 2013 Volcano Art Prize (VAP). Title: Peppi the Lead Free Clown – Look Out for Lead! Volcano Art Prize (VAP) 2014 People’s Choice Prize is $500! Prevalence of dementia in England lower than expected; how to explain it?